State Duma deputy said the need for further government support of JSC "KUZNETSOV" | JSC "Kuznetsov"
JSC "Kuznetsov" is the largest enterprise of aviation and space propulsion engineering. 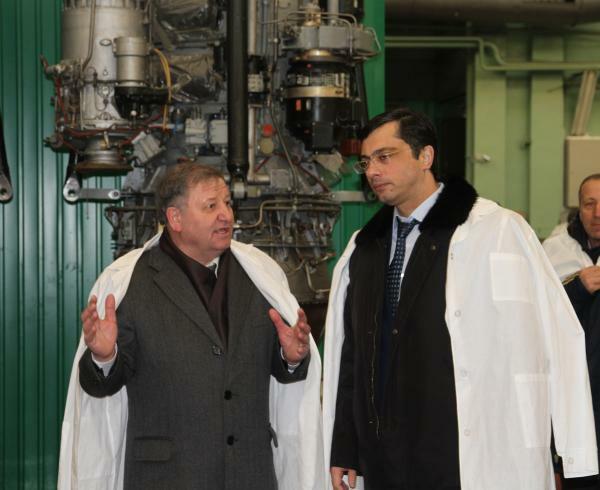 State Duma deputy said the need for further government support of JSC "KUZNETSOV"
2 February of JSC "Kuznetsov" visited the First Deputy Chairman of State Duma Committee on Industry, Vice-President of the Union of Machine Builders of Russia Vladimir Gutenev.On familiarized with production plants, process equipment, which are equipped assembly, foundry and other shops of the enterprise. 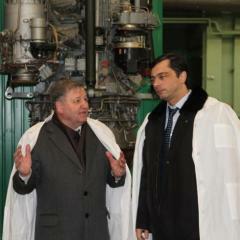 After visiting the shops of the company held a meeting with his staff. Vladimir Gutenev by responding to key issues of concern to the factory workers, spoke about the challenges and plans as the State Duma Committee on Industry, Engineering Union and Russia. "In the country there is a need for a coherent industrial policy and re-industrialization. The state is ready to step up national defense "- he said.